Roasting vegetables brings out layers of rich and complex flavors. It’s really all about the technique: a hot oven, fat, and a sheet pan which maximizes caramelization potential. The seasonings are up to you. Salt and pepper are a given, but try tossing in spices such as cumin, fennel, or in this rendition, zataar (a toasty mixture of thyme, sesame seeds and sumac). Add to the mix roasted chickpeas for an irresistible crispy chewy texture. 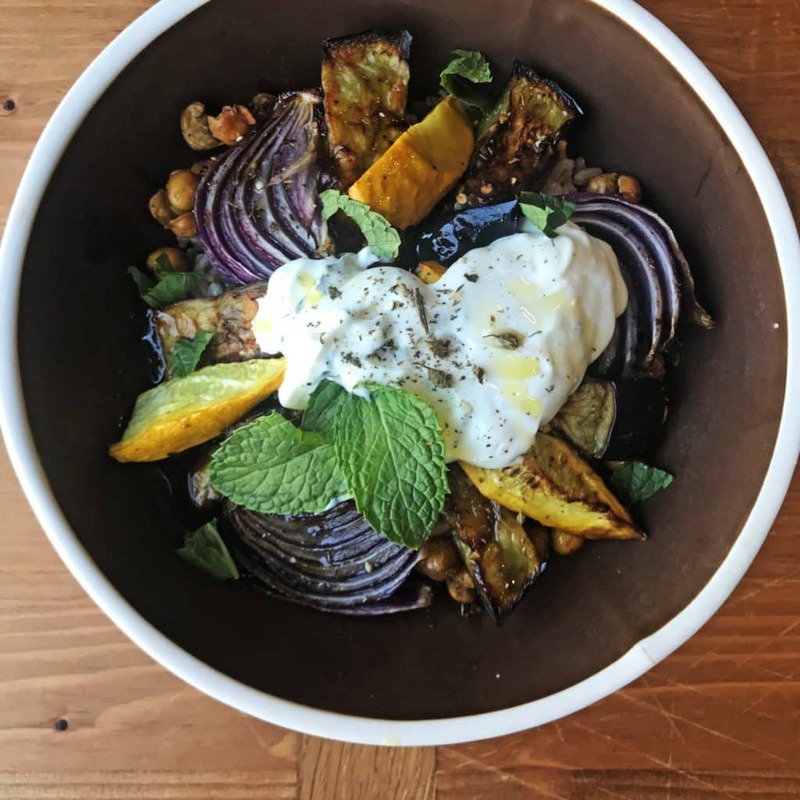 And while the vegetables roast, all you have to do is cook some farro and mix together an herby yogurt sauce for a quick, easy supper. In a medium sauce pan, heat oil over medium heat. Add farro and thyme and toast for about a minute. Add 2 cups water and a healthy pinch of salt. Simmer covered and cook for about 30-40 minutes. Toss the everything well together and spread in one layer onto one or two sheet pans. Roast about 30 minutes or until vegetables are brown around the edges and chickpeas are crisp. While vegetables are roasting stir together ingredients for yogurt sauce, adding in a touch more lemon juice, salt and pepper until it's got the right amount of zing for you. Add a dollop to vegetable-topped farro.